Fake news. Government censorship. Standardized media outlets. Not only are these problems getting worse - but they carry far more impact in our global society than they used to. From presidential elections to uprisings, getting the real news, in a real and unfiltered manner, with real fact checking is difficult. It's why this blockchain company has tackled the problem head on. Join me Cahill (sounds like K-Hill) as I sit down with Samit Singh and Dondrey Taylor (Co-Founders) from DNN. Sparked by the controversial presidential elections in the US – Samit and Dondrey were deeply disturbed by the seemingly massive amounts of fake news that occurred. It got them thinking – perhaps there was a better way to allow authentic, verified news to educate the people? Thus they started DNN – a Distributed News Network. Thanks for watching this video. I hope that you keep up with the weekly videos I post on the channel, you subscribe, and share any ideas regarding new ICOs that you think we should interview. We’re always open to feedback, suggestions and comments, so please leave them below. Cahill (sounds like K-hill) is an advisor, investor, entrepreneur and author. He is the founder of Byte Media Group, a strategic marketing agency focused on helping blockchain & tech companies with branding, marketing & PR. He has worked with venture and angel backed startups, ICO’s, blockchain companies, and Fortune 500 companies alike. With entrepreneurial experience coming from launching his own temporary staffing agency, eCommerce companies (that have been featured on Tim Ferriss’ site), launching Toronto Men’s Fashion Week, and more – he brings interesting insight and experience to the podcast. His insights and reports have been published in dozens of media outlets: News BTC, Coin Journal, Startup Nation and Huffington Post to name a few. 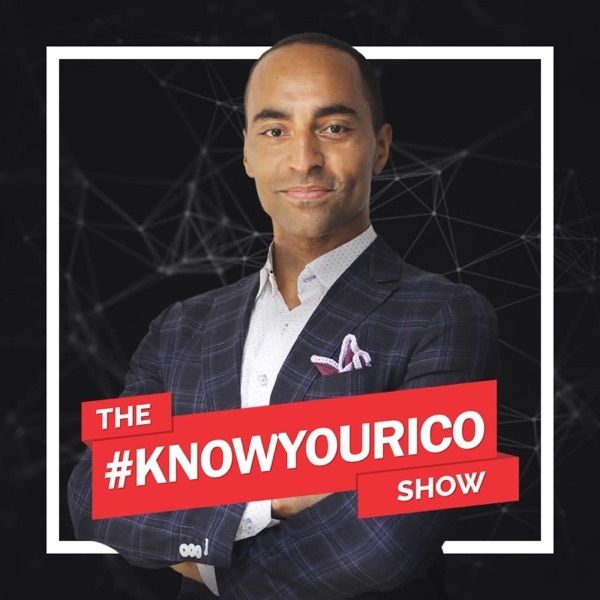 He aims to help give potential investors additional insight into the ICO’s they’re considering investing in on The Know Your ICO Show, and showcase the wide range of projects on the market. Gambling. Gaming. The Casino industry. As a heavily restricted and yet, highly profitable industry around the world, many blockchain startups are naturally looking to tackle this industry.The challenge is, as anyone who’s heard about gambling or a casino will attest to: “the house always wins”. Well, this blockchain startup wants to change that. By giving token holders the ability to win or earn tokens, when “the house wins”, along with a host of other gaming options and security options.Naturally this is going to be a very difficult industry to tackle - IF you’re looking to target the largest players in the market, in very heavily regulated environments. Think Vegas. But what about the billions of people in less regulated industries - who still appreciate and want to game safely? What about the countries in Europe, Africa, South America and more - who are just starting to regulate and legalize the industry?This is where Liger Coin is aiming. Join me Cahill (sounds like K-hill) as I talk with Pyatrush - CEO of Liger Coin - and our dive in on the casino industry and how he believes blockchain will change the environment.In Part 1 we discuss:the challenges with the casino industrywhere he and his team got this ideatheir experience in working with and managing casino’s and gambling houseshow they plan on building their network - and where they’re looking to go from hereand much more…In Part 2 we discuss the project in more depth. We cover:what about regulations in the industry country to countrysecurity challenges surrounding the industrybuilding partnerships in a heavily guarded industrywhy they’ve chosen their technology as the platform to proceedhow they plan on leveraging experience in developing markets - and working towards well entrenched marketsand much much more…Hope you enjoy the interview!